Guests to the Michelangelo Hotel in the heart of the Sandton business district can kick back and relax while enjoying the finest in spa and beauty treatments at the Michelangelo Hotel’s resident spa. Our clientele ranges from guests of the hotel to residents and business people from the Sandton area. All of whom are looking for a break from the norm and an environment where they can get away for a brief moment to spoil themselves and re-energise. Ensuring it caters for its discerning customers in every aspect, the team at the spa stays ahead of global trends and tailor makes it packages for each customer dependent on their exacting body and beauty needs. This is translated into the Michelangelo Spa’s treatment menu, which offers a range of packages for the busy executive with only an hour to spare, right through to the guest looking for a day of indulgence. Apart from its treatment rooms, of which there are private rooms for one-on-one treatments as well as couple rooms, guests can unwind in its upstairs relaxation area, enjoy the hydro pool or wash away the troubles of the day in its magnificent outdoor shower, alternatively they can also make use of the sauna, steam room and male and female changing facilities with lockers. The product line-up of the spa includes the Babor and Skin Doctors facials as well as a range of stunning colours out of the Morgan Taylor range. In addition, only the best Lillian Terry oils are used for ultimate relaxation and a new range to the Michelangelo Spa includes the Comfort Zone range, which offers its very own tranquility sleep enhancing. While the treatments, expertise of its therapists and design and décor of the Michelangelo Spa speaks for itself, so does its location. 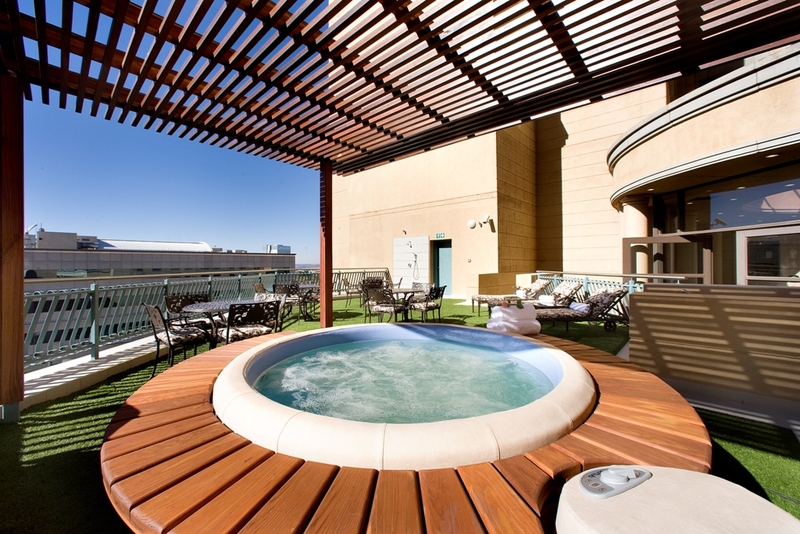 Conveniently located just off the Nelson Mandela Square, one can nip in during a lunch hour, or break up a hectic shopping spree with a range of relaxing treatments. Another plus is that the spa stays open till 7 p.m. in the evening, in order to meet the needs of busy travellers and business people.